Walking in a winter wonderland would be easy for these white animals. 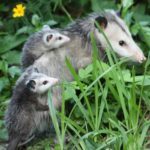 Due to certain recessive traits, these unique North American species will blend in beautifully with the winter landscape. 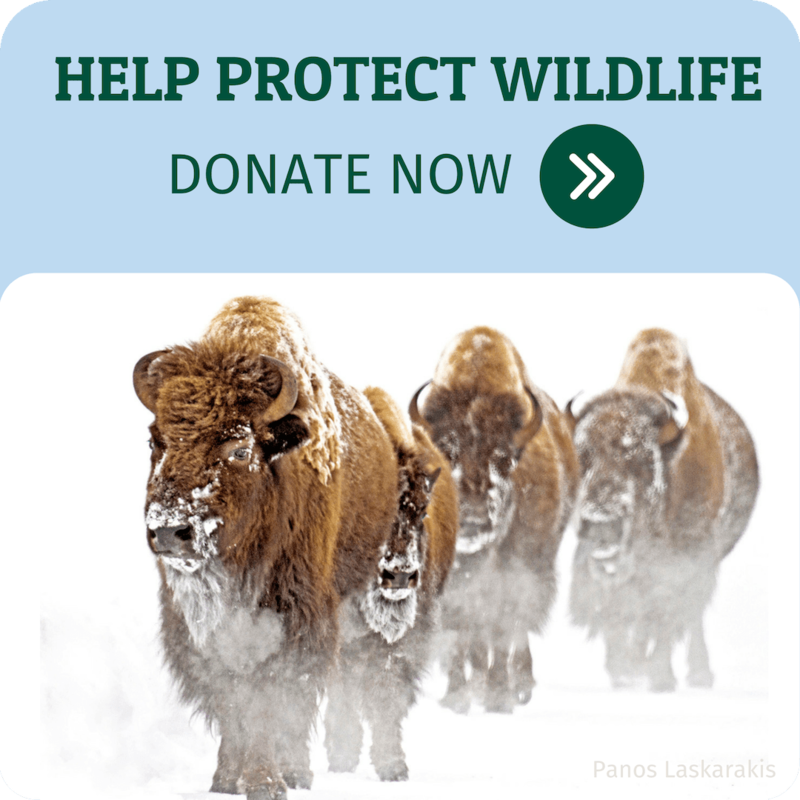 The white North American bison is considered sacred or spiritually significant to many Native American tribes. White bison are extremely rare; the National Bison Association has estimated that they only occur in approximately one out of every 10 million births. The easiest way to determine whether an animal is albino or leucistic is by looking at its eye color. This Eastern gray squirrel is a true albino as indicated by its red eyes. In an albino animal, the underlying blood vessels of the eye tend to show through due to the lack of melanin production in both the retinal pigmented epithelium (RPE) and iris. Like the white bison, white moose are also regarded as sacred creatures by several Native American tribes. Though extremely rare, white-colored moose have been reported in Alaska, Idaho and throughout Canada. 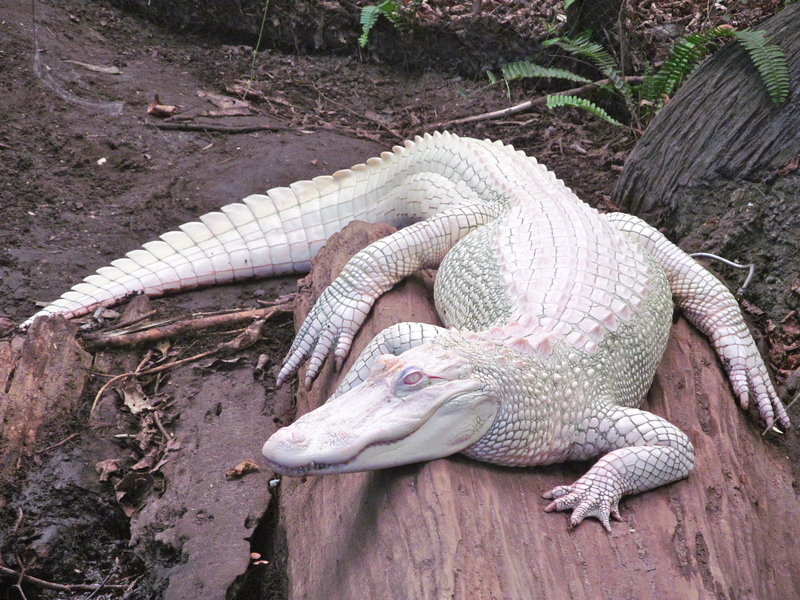 Due to their dependence on camouflage for survival, most albino alligators rarely make it to adulthood because they are not able to catch prey easily or hide from predators. Their skin is also said to be extremely sensitive to sunlight, resulting in sunburn. Good news is that looking into the eyes of an albino alligator will reportedly bring you good luck. The Kermode bear also known as a “spirit bear”, is a subspecies of the North American black bear found only on the north coast of British Columbia, Canada. Unlike the other white or albino animals on this list, the Kermode bear’s white coat has been noted to help with its survival skills. Scientists have found that normal black bears are not as effective at catching fish as white bears, as the white bears are less visible from the perspective of the fish. While at night the two colors of bears have similar success rates at catching fish, during the day the Kermode bears are 30% more effective. Out of all the species listed, one is most likely to see a white white-tailed deer in their backyard. According to Outdoor Life Magazine, one deer in 20,000 is born white. Though they would blend in well with snow, this coat pattern makes them an easy target for predators during the other months of the year. White-tailed deer are also known to exhibit a pattern called piebald, which is a mixture of white and brown coat colors.